We just found out that it is possible to disable the greatest Youtube annoyance of all time: autoplay. Yes, like with many other browsing annoyances... there is a script for that. YousableTube is a script for the Greasemonkey extension that can disable autoplay (while keeping autobuffering! ), allow for easy downloading in several formats and much more. It's just a click away, after installing Greasemonkey. 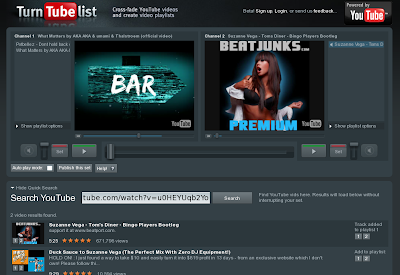 We tested it using the Youtube HTML5 mode and worked great. And since this is not enough, seems that many people use Youtube to play music at parties. That must feel very clumsy :-) even now that we know how to disable the dreadful autoplay feature. But hey, there's a web app for that! 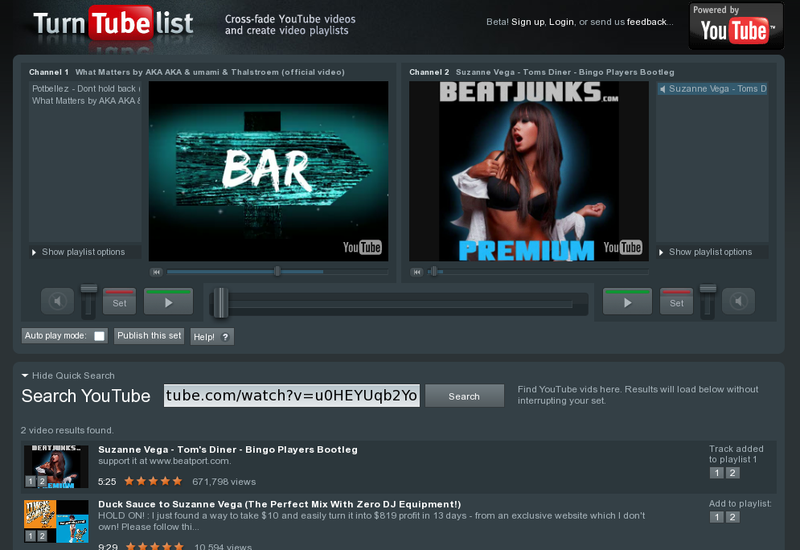 Turnetubelist is as crossfader application that can search on youtube and manage a pair of playlists. I wouldn't call this an DJ application :-) but it certainly can improve ad-hoc parties.